Popular open floor plan with one bedroom down and one up. This unit backs up to the edge of the complex for extra privacy. Watch the wildlife walk by as you sit on your patio and relax. Enclosed patio in the front as well. This home is ready for your special touches! New HVAC in 2016. Tile countertops and backsplash in the kitchen. Wood burning fireplace in the great room. Great floor plan with kitchen open to the great room with lots of opportunities to create the back patio to be part of your living space. Storage under the stairs and in attic with walk in space from the master bath. 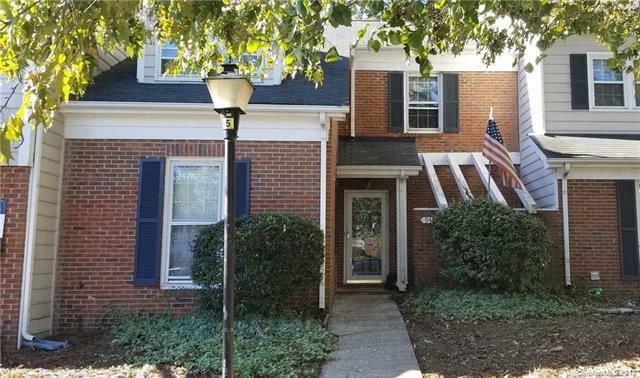 Needs some TLC, but great unit!Park Walk HOA includes outside maintenance of the building, Water, Sewer and Trash, Landscape Maintenance, Pool and Tennis Court. Located between South Park and Ballantyne with easy access to 485, 77, and only a short drive to the light rail and close to the newly greenway walkway that is under construction.Don't miss this chance to make this unit your own!